Choose from a wide variety of yummy and hearty burgers at the best burger restaurants in Staten Island. Find out all there is to know about the best burgers on Staten Island. 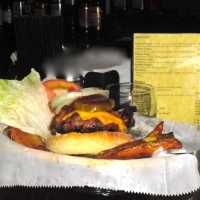 Enjoy Delicious Burgers at One of Staten Island's Top Pubs! Established in 1966, Joyce's Tavern has served as a popular meeting spot for Staten Islanders for many, many years. 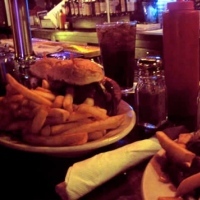 The pub's superb burgers are made from USDA choice ground sirloin. Try "Joyce's Burger" which comes complete with mushrooms, onions, and mozzarella. The menu also includes standard pub fare (i.e. : wings, chicken fingers, nachos, etc. ), soups, salads, wraps, sandwiches, fish and chips, meat and seafood entrees, and pasta dishes. Yummy desserts include chocolate mousse cake, pineapple bread pudding, and New York cheesecake. The outdoor patio is now open for lunch, dinner, and drinks. A Great Bar with the Best Staten Island Burgers! A new rendition of a landmark tavern that's been in existence for almost 100 years; Lincoln's Tavern features a 100-year-old antique bar, beer garden, live entertainment, and some of the best hamburgers on Staten Island! All 8-ounce beef burgers are served on freshly baked panini rolls, along with a side of fries. Yummy appetizers include chicken tenders, pierogies, chicken wings, mozzarella sticks, jalapeno poppers, and potstickers. Pick from a wide variety of tap and bottled beers. Check the website regularly to keep updated on upcoming shows at the tavern. Find out about the latest drink specials, VIP parties, and upcoming events by signing up for the VIP Club on the website.